How to get waves on men’s straight hair is not a straight-forward proposition. The best method for getting waves in straight hair for men is to have it cut in layers and it works regardless of the length of the hair. This gives the illusion of wavy hair even though the strands remain as straight as ever. Women have a huge arsenal of hairstyling tricks that allow them to do almost anything with their hair. But many wonder how to get waves with straight men’s hair. Men’s hairstyling is no longer just about having a short and simple crop. Guys are increasingly experimenting with their locks to achieve unique and eye-catching styles. This includes adding kinks and waves to naturally straight hair, regardless of the length. So how are the waves created? Scissors and razor cutting are the best tools for this type of cutting because they change the shape of the hair strands’ ends and add texture and volume to the hairstyle. Other things that a guy might try include the use of a crimping iron, soft rollers, or, in extreme need, getting a permanent. However, these tend to require that the hair be at least medium length if not longer. The process one can use to achieve waves on straight hair varies a great deal with the length and fullness of the hair. Layering Up: By having layers cut into super straight hair it can give the idea of more movement and the illusion of waves. Through cleverly razor cutting into the locks, it can change the texture of the hair strands which offers more shape and volume to the hair. Tools of The Trade: Crimping irons, heated or soft rollers, and curling tongs are other methods that can be used to achieve some kink in the hair. However, you will need to have a suitable amount of length to succeed with this so this is really only a suitable option for those with mid to long hair. Finger Styling: By inverting the head upside down and scrunching the hair while drying you can create waves for straight hair. However, this is not a fool proof method and it will depend on individual hair type. You will likely need strong hold products to keep the style set. Using a hair drying diffuser can also assist with creating this look. Natural Styling: For those with mid to long hair you can try braiding the locks overnight as the plaits will create natural kinks and waves. Long-Term Commitment: If you are more dedicated to adding some kink to your locks you could consider a perm. Whilst this will achieve more of a curl than a wave, your stylist should be able to dilute the intensity of the product to make the curls less severe. However, this will be a permanent option until your hair grows out so make sure you are certain of your choice! Let’s assume that some or most of the men that are reading this article have straight hair with no layers or steps in them. To guide you all, getting a haircut that adds layers into your hair can create just the right amounts of waves you want to achieve. The best supplies to use for cutting the hair can be long end scissors and razors because they cut and shape the hair in such ways that make the hair texture and the strands more defined and easier to create the waves with straight hair. Regardless of your hair type, if it is silky straight or slightly rough-textured, once when you have achieved layers in your hair, you can further style it into waves by using hair cream, hairdryer, hairspray, and a comb. To do this, wet your hair completely, take a walnut amount of cream in your palm, rub it into your hair and use a comb to spread out the cream equally all over. Then, start using a blow-dryer and along with the comb, start combing out the layers and flick them out on the ends to create cowlicks. 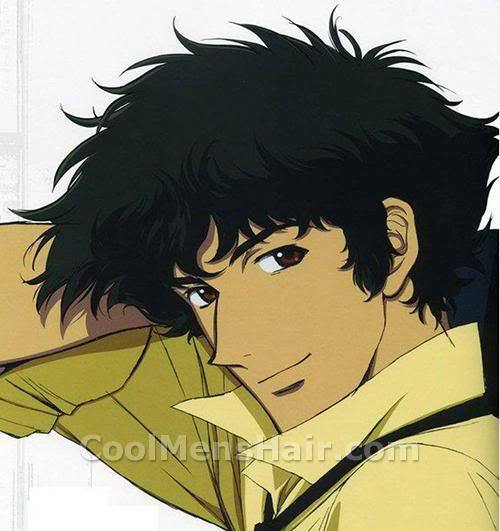 Once, this has been done, to secure the cowlicks in place, use a hairspray to settle the curls at one place. If you have layers in your hair and the hair length is slightly longer than usual than you may use hair equipment such as soft rollers and crimping iron to create waves with straight hair. For this style, simply just wash or wet your hair, apply some thermal activating protectant to protect it from heat, comb the hair to spread the heat protectant and then use the soft rollers and roll the hair up nice and neatly. Once all hair is rolled up, start blow-drying all of the hair and let the rollers stay in for about an hour or two. To secure the waves, you can use a hairspray to set them in place. If you don’t want to go for soft rollers technique, then use a crimping iron to create waves in straight hair. Following are the styling options to get waves on men’s naturally straight hair. This is a great example of how a clever cut can achieve the look of waves on men’s straight hair. Ideal for: All hair types – as this style is about clever cutting and not hair type. How to Style: This look will need to be done by a barber or stylist for it to be done correctly. Your hair length before cutting will need to be around 20mm long. The locks are then cut with a razor in a spiral from the center of the crown outwards in a symmetrical fashion. This look requires very little daily styling but will need frequent trimming. If you favor a more messy style of hair then this look is perfect for you. It is a trendy way to make men’s straight hair wavy. Ideal for: Long faces that pair well with volume. If you have a diamond-shaped face a beard is advisable to soften the chin and jawline. How to Style: If you do not want to commit to a perm, then tonging the hair with a curling iron is the best way to achieve this look. If you have layers cut into the locks the hair will curl and sit better. Lightly brush the curls when setting for a more natural look and hold with spray or wax. By matching a short back and sides with loose waves or curls, it can create a very dynamic look for straight haired men. Ideal for: Those who prefer a sleek and more conservative look with an edgy twist. How to Style: Keeping the style this length will make for much easier styling. Either scrunch dry the top of the hair using mousse and a diffuser or if your hair is long enough tong with a curling iron. Set with a strong hold spray. Adding bangs to a mop of men’s straight hair is a great way to soften a face especially when paired with soft curls and waves. Ideal for: Mid-length hair. Strong face shapes that need softening. This is a style to avoid for those with round faces. How to Style: This look will require layers being cut into the hair. Either scrunch dry with a wave-boosting mousse and a diffuser or tong the ends of your hair when dry. Don’t be too precious about perfection. The beauty of this look is in its natural tousled styling. If you are looking for more natural waves to straight hair, then plaiting the locks overnight is an ideal way to achieve this. Ideal for: Mid to long hair length is needed in order to plait. Those who don’t like to heat style their tresses. How to Style: By separating the hair into sections and plaiting overnight your hair will naturally kink. If you want larger waves, then opt for thicker plaits. For smaller waves, separate the plaits into smaller sections. If daily styling isn’t for you, then you could opt to go for the permanent choice of a perm. It will add edgy waves on men’s straight hair. Ideal for: Long hair, those who don’t have the time or the skill for too much daily preening. How to Style: A perm is designed for creating curls and ringlets not necessarily waves so your stylist may need to dilute the perming lotion to make the result less tight. Adding subtle highlights to the ends of the hair is a great way to enhance those curls. By chopping layers into straight hair, it can give the illusion of waves. A classic combo of straight hair and waves. Ideal for: Shorter hair. Long or round faces that suit some length on the top. How to Style: Your stylist will need to cut layers into the lengths of the hair. Scrunch the hair with your hands while trying to create the effect of waves. Set with a gel or mousse to hold the shape. Other than the techniques, if your hair is thin and weak or if the hair growth is really slow, then one should take vitamin supplements, preferably biotin and multivitamins pills as they promote healthy hair growth and also, it is not necessary to comb the hair often especially when its dry because then it will ruin the waves in the hair and generally, excessive combing leads to hair thinning and weak scalp. Also, make sure that too much of chemicals are not being applied in the hair as it can be harmful not just by damaging the hair, but the strong chemicals might even start affecting the body internally and externally on the skin of the scalp. All in all, with any of the above techniques and side tips mentioned, the very basics are to get a haircut with layers through a pair of razor cutting scissors to make waves in the hair and it is also important to get your layers trimmed if the hair growth is really fast. A wave comb would also be important as not all brushes are able to create waves with straight hair. 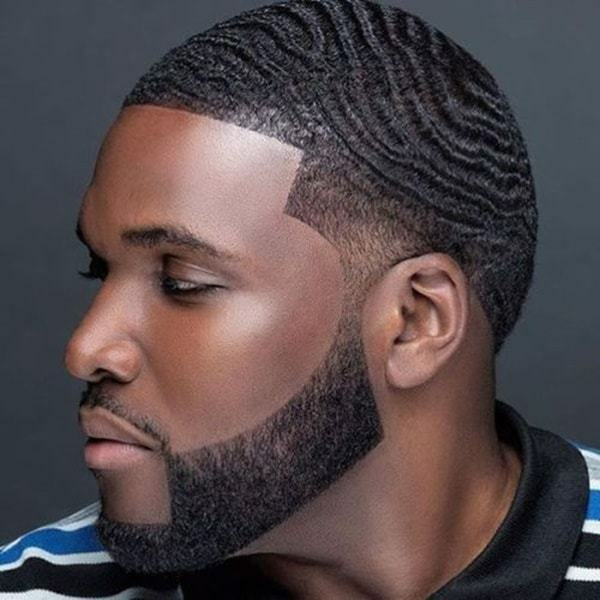 Apart from the basics, for making waves with hair tools, soft rollers or a crimping iron would be required and for 360 waves, a pomade or moisturizer along with a heat protectant and a cap to keep the hair in shape would be needed. For medium hair, I have had great luck with scrunch drying. Add some paste or other volumizing product while hair is is still damp, and bring it to completely dry with warm heat while scrunching sections of hair. Let the hair cool before you let go of each section. To finish, scrunch in some more paste after you’re done drying. This will put movement even into hair that is quite straight. I have some natural curl, but without styling it is chaos. I have some metal hair clips, so I comb my hair straight back and then push it forward so that it falls into waves. Carefully without removing my hair I clip the waves into place. Likewise on the sides, I find the wave and anchor it with a clip. I then twist up the back and clip it into place. HOWEVER, I also sometimes go to the local beauty college and get a roller set. My hair is about 8 inches long and this works nicely for me. I specify 1″ rollers. This is fun, and if you do it several times you and the stylist will find what best works for you. Nice methods you shared about get waves with straight hair.good posting and thanks for sharing it with us.